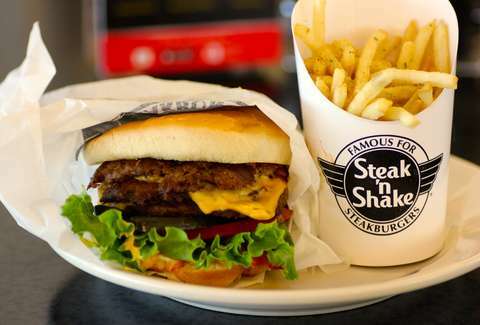 Sure, Steak 'n Shake's smaller than McDonald's and BK, but it's always been full of big ideas. Like burgers made of steak. Or burgers made of seven patties. Or seven-patty steak burgers in Saudi Arabia, which is a thing that's happening this year. To prepare you for Steak 'n Shake's global takeover, we thought we should take a moment to educate ourselves on this vital fast-casual brand. 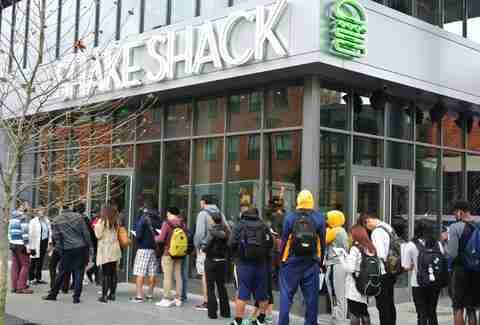 Pretty soon, we'll all be speaking steakburger. 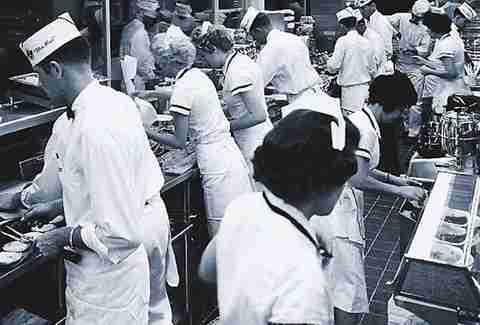 Before he opened Steak 'n Shake, Gus Belt ran a combination gas station/chicken restaurant with his wife, Edith. (Why don't you write a song about that, Das Racist?!) Gus would take care of the cars while Edith dished up the food. 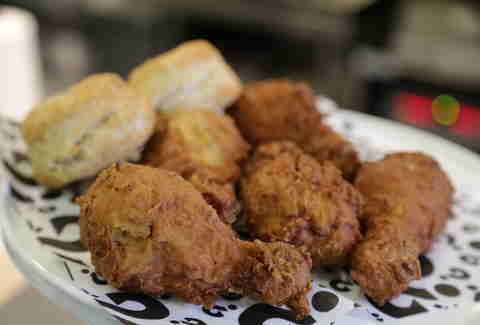 All-you-could-eat fried chicken with fries and coleslaw was only $.45, and you could add a beer for just $.09 cents (again, at a gas station). And you thought the current $4 menu was a steal. Amateur. For some weird reason, beer was the most popular item at the Belts' hybrid gas station, so when it got banned thanks to stupid Prohibition, they needed a new plan. Gus realized that, while chicken joints were a dime a dozen in central Illinois, good hamburger stands were not. 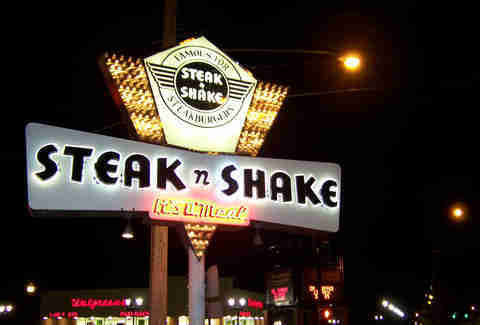 He decided to promptly fix that problem, and Steak 'n Shake was born in 1934. 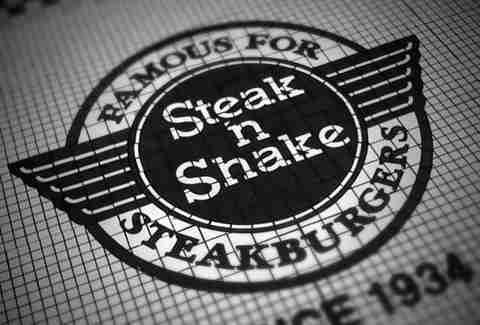 The Steak 'n Shake slogan "In Sight, It Must Be Right" refers to the showy way Gus used to prove his burgers' cred. In full view of his customers, he used to wheel in a barrel of assorted steaks and start grinding them in-house, simultaneously confirming "steakburger" wasn't just a clever name and making everyone wish they had a barrel of steaks lying around the house. In the early days, Gus was a stickler for speed, aiming to have a burger delivered five minutes after the order was placed. The goal was to have the customer fed and gone within 20 minutes. To achieve this, he encouraged his employees to walk at a "swift trot". He also fed them sugar cubes as a reward, probably. 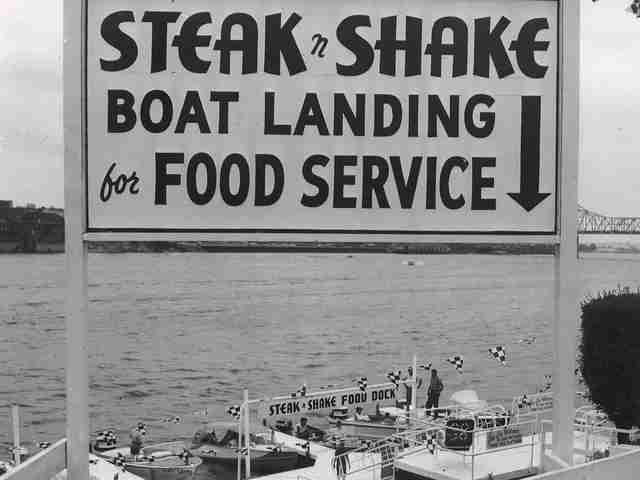 Steak 'n Shake was so committed to service that they even delivered to docked boats -- or at least they did in Peoria, Illinois in the '30s. Something useful to keep in your pocket the next time your favorite taco place says they "won't deliver to the airport tarmac" just because it's "illegal". 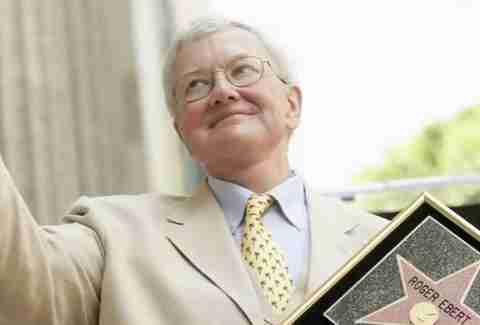 The late Roger Ebert was an especially passionate fan. He once wrote, "If I were on Death Row, my last meal would be from Steak 'n Shake... If the Pope were to ask where he could get a good plate of spaghetti in America, I would reply, 'Your Holiness, have you tried the Chili Mac or the Chili 3-Ways?'" If only he were so kind to Sorority Boys. 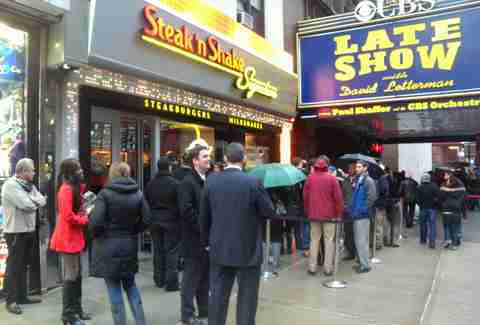 Shake Shack founder Danny Meyer also worships at the steak altar. Dude told The New York Times that eating at Steak 'n Shake as a teenager in St. Louis inspired him to follow a higher food calling, which means you have Gus Belt to thank for your SmokeShack addiction. 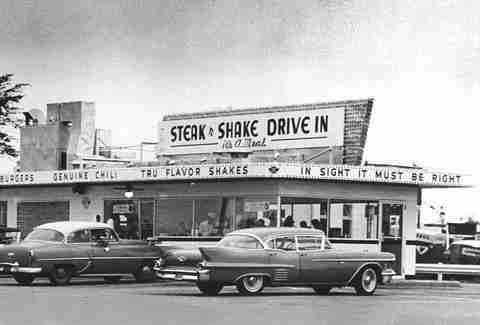 The National Park Service added the Springfield, Missouri Steak 'n Shake to the National Register of Historic Places in 2012. It probably helped that this particular location is off Route 66, which, like Missouri itself, is famous for being populated by old things. 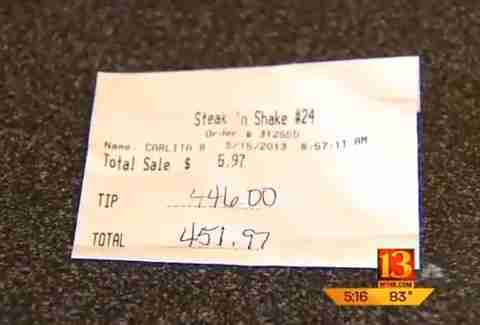 Last year, a waitress at an Indianapolis Steak 'n Shake scored a $446 tip on a $5.97 bill from one very generous (or very mathematically challenged) regular, leaving the staff in shock and us to reevaluate our tipping recommendations. Owing to its average annual $1.7mill earnings per store, Steak 'n Shake was named the 11th best fast-food franchise to own by Forbes. It's still got a way to go before it catches up to #1 seed Chick-fil-A (with $3.2mill per store), so it would be smart to introduce seven-layer chicken biscuits. Kristin Hunt is a food/drink staff writer for Thrillist. She was introduced to Steak 'n Shake while on Spring break in St. Louis, because she's the type of person to take Spring breaks in St. Louis. Follow her at @kristin_hunt.